Three Waterloo Black Hawks players earned high grades in the latest NHL Central Scouting rankings of players eligible for the 2019 NHL draft. Forward Vladislav Firstov, who leads all United States Hockey League rookies with 18 points, moved up to a "B" prospect where he joins Waterloo teammate Austin Swankler at that level. Ryan Drkulec earned a "C" rating. According to Central Scouting, a "B" designation means a player is likely to be chosen in the second or third rounds of the June draft. A "C" rating places a player in the fourth through sixth rounds. Waterloo native and former Waterloo Black Hawks goaltending standout Cal Petersen was called up to the National Hockey League by the Los Angeles Kings Monday. Petersen is expected to be in uniform for the Kings Tuesday night against Toronto. Los Angeles' regular goalies, Jonathan Quick and Jack Campbell, are both injured. As a member of the Waterloo team, Petersen set a franchise junior era record with 51 regular-season wins. He also had 10 postseason wins and was recognized as USA Hockey's Dave Peterson Goaltender of the Year after the 2013-14 season. After a stellar career at Notre Dame, Petersen signed with the Kings in 2017 and as a rookie last winter he was named an American Hockey League all-star while playing for Kings' AHL affiliate, the Ontario Reign. 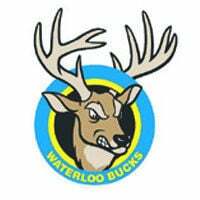 The Waterloo Bucks are seeking nominations for their fifth annual Military Heroes baseball card set that will be given away to the first 500 fans as part of the club's Independence Day celebration. The card set will honor members of all branches of the military both past and present. Nominations began Monday. The first 20 submissions will make the 2019 card set. The Bucks ask that veterans included in previous sets not be nominated again. Nomination forms are available at the Bucks business office or online at www.waterloobucks.com. For more information, contact Ben Knaack at (319) 232-0500 or by email at ben@waterloobucks.com. Luther College heads to the University of Chicago this weekend for the Sweet 16 of the NCAA Division III men's soccer tournament. The Norse defeated Knox 1-0 in overtime and Dominican 3-2 last weekend to advance to the round of 16 for the first time since 2011 and the second time since the field was increased to 62 teams. Luther (18-3-1) will face St. Thomas (16-3-2) at 3:30 p.m. Saturday with the winner advancing to meet the winner of the Chicago (16-2-1)-Trinity (17-1-3) matchup. Luther defeated St. Thomas 2-1 earlier this season in St. Paul.